With this tool you can bring the SteamOverlay to your Origin game. Now it starts you game with the SteamOverlay. If Origin is already started, this program will close it and start a new instance. 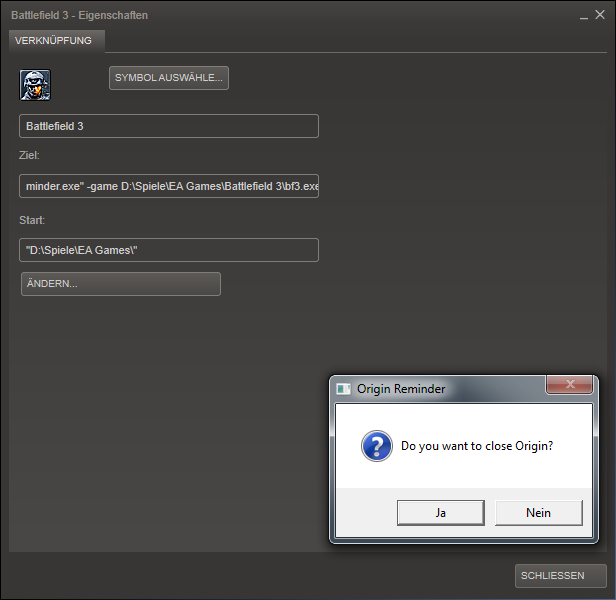 After you closed your game the program will ask if you also want to close Origin. With closing Origin Steam will display you as Online again. With the command -forceclose you won't get the messagebox that is asking if you want to close it, it will just do it after you leave the game. This commands needs to be in the right order: "-forceclose -game PATH" , otherwise it won't work!